Accordion Books – This versatile product makes a great coffee table piece, especially for grandparents. With seven customizable panels, clients can feature more than just one favorite image and share a story with family and friends. 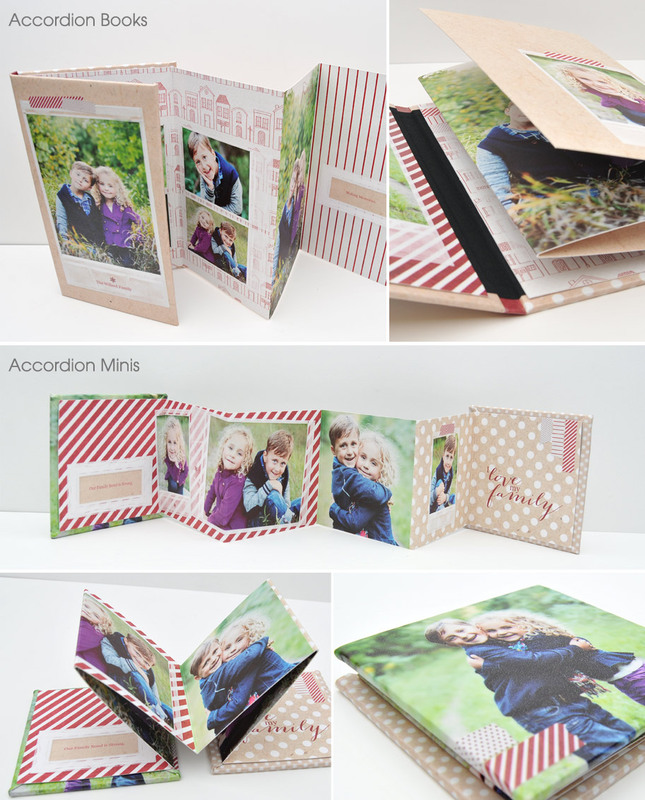 Accordion Minis – The smaller version of the Accordion Book, family members and friends alike go wild over this adorable, unique way to share photos. Show your clients how to share a portable, compact slice of their life with the special people on their list. Tear-Off Notepads – Covered with our new Classic Felt paper and lined with 50 pages of quality text stock inside, the Tear-Off Notepad comes in 4×8, 5×8 and 14×11. 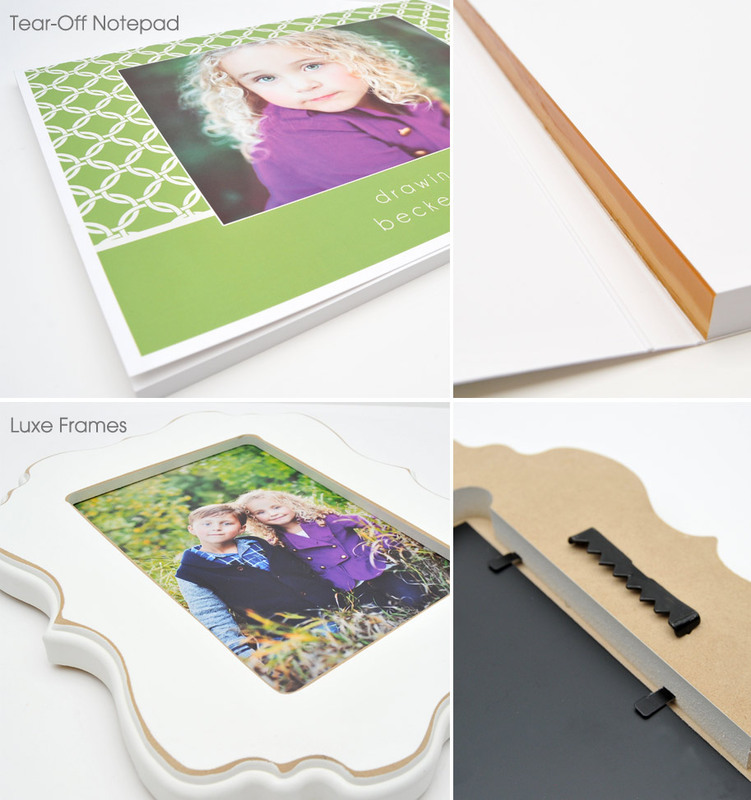 Add an image design to the interior pages of the two smaller size pads for a note-worthy gift. Luxe Frames – The perfect complement to your stunning images, our versatile Luxe Frames ensure your photographs are featured with class. With five colors, four shapes and three sizes, these chic frames come ready-to-hang, making them perfect for gift-giving. 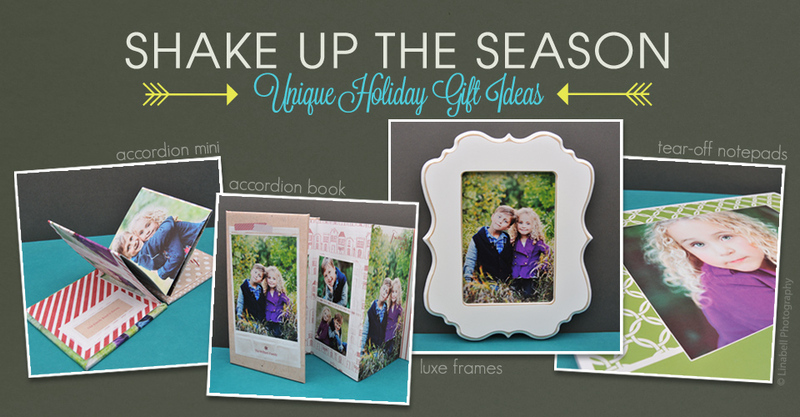 Only you can provide your gorgeous images, design expertise and one-of-a-kind products all rolled into one pretty package for an exceptional gift this season. Add our 1-2 day turnaround, free overnight shipping, and holiday-inspired designs ready and waiting in the Design Market, and you have the ideal scenario to help your clients save time and the hassle of fighting the shopping crowds this season. Visit the website to get started.